By 2015, RKK Energia formulated the concept of a "warehouse" module, apparently designated 582GK, which would rely on expandable technology. 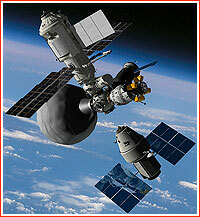 If ever built, the module could be added to the Russian segment of the International Space Station, ISS, or to the follow-on Russian space station. 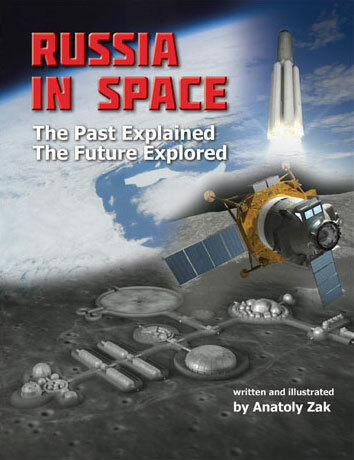 In September 2013, the head of RKK Energia Vitaly Lopota told the Interfax news agency that the company had been working on multiple applications of transformable structures and had considered flexible structures that would harden after deployment in orbit. 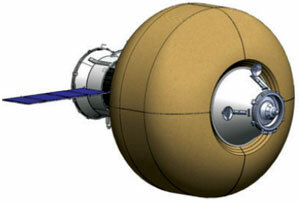 Lopota singled out the development of an inflatable warehouse module (for the Russian segment of the ISS), which could be launched at the end of the decade, given a government contract. In 2016, RKK Energia announced that key research and theoretical work on transformable structures had been completed, resulting in the selection of the final design and the composition of the module's expandable skin. 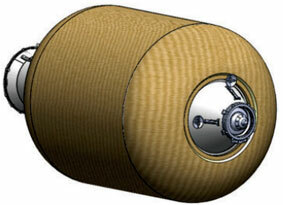 The company also selected a preliminary structural design of the storage module, which would use an expandable body. The proposed warehouse module would include a box-shaped solid core with a cross-section of two meters. During launch this area could be used as a cargo compartment. 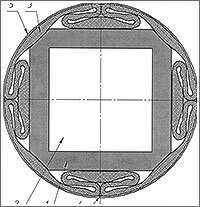 Combined with the surrounding soft skin, the solid core would provide higher radiation protection than the one available inside traditional metal compartments. 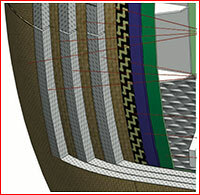 The interior of the expandable section would be subdivided into four large sections with deployable flat walls. 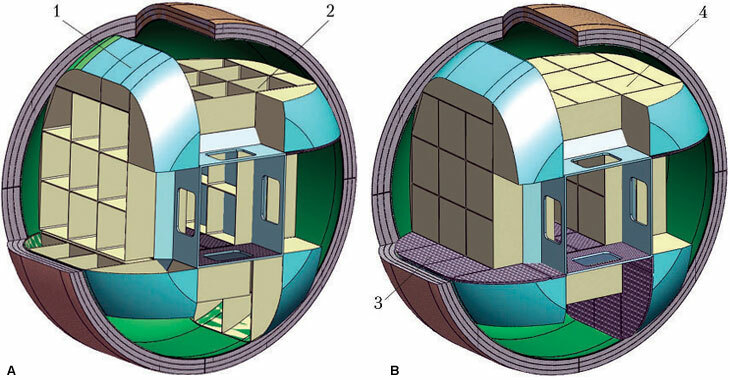 In addition to storage rooms, the expandable section could accommodate scientific gear and even living compartments for crew members. RKK Energia characterized the proposed 100-cubic-meter structure as medium size, as oppose to large-size module, which could provide between 250 and 300 cubic meters of room, but would require Proton-M or Angara-5 rockets for launch. Both variants would have the same diameter when folded or inflated but vary from 6.6 to 15 meters in the length. 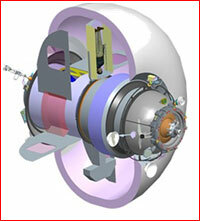 During 2015, RKK Energia reportedly asked Roskosmos for money for the full-scale development of the expandable module, however its funding status was not immediately clear at the time.